Marc Leepson reads from Desperate Engagement: How a Little-Known Civil War Battle Saved Washington, D.C., and Changed American History. 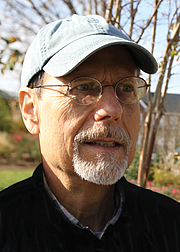 Mark Leepson, his wife, and their two children live in Loudoun County, Virginia. Marc Leepson is currently considered a "single author." If one or more works are by a distinct, homonymous authors, go ahead and split the author. Marc Leepson is composed of 1 name.